This semester was my first full semester as a PhD student. I got my feet wet with some projects, assisted teaching a course, and advised a student on his Bachelor’s thesis. After a semester of what amounted to preparation, I’m excited to bring both my teaching and projects to the next level this coming semester. 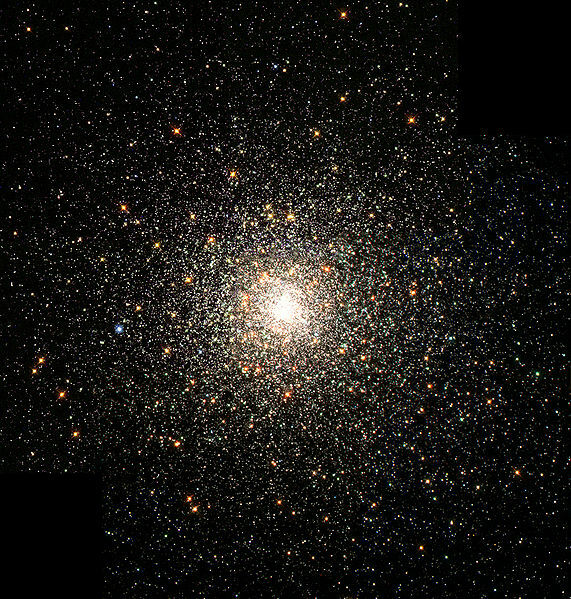 I’m currently working on a simulation to explore the origins of globular clusters. 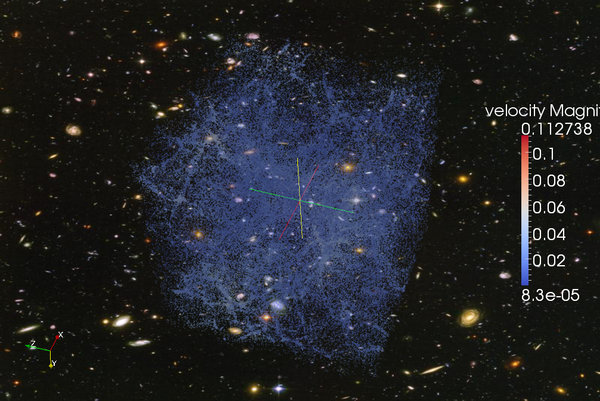 The idea is to do a Virgo Cluster analog so we can compare with observational data easily. I’m currently at the setup stage where I’m doing some background reading and calculations, generating the necessary initial conditions, picking the appropriate region of a lower resolution simulation to simulate at higher resolution, and preparing some analysis tools. I should be finished with this stage in the next weeks and move to running the simulation on a supercomputer. Ramses and Tipsy are two popular binary formats for storing simulation output in our community. I’ve done a lot of work with Tipsy, including writing a parallel reader/visualization toolkit to work with Tipsy files, AstroViz. Since I’ll be working with Ramses for the globular cluster formation project, I decided to put some effort into extending my tools to play nice with the Ramses format. There’s an existing tool in Fortran which converts between the two formats but only to an unwieldy ascii file, and my first step was to port that to C++ and work with the Tipsy binary format. I have my converter working for 2/3 of the particle types we deal with (star and dark) and am finishing up with the gas conversion. It’s non-trivial but straightforward. Once that’s finished, it plugs nicely into AstroViz meaning, as the original version does not function in parallel and has no integrated visualization capabilities, that I’ll have a huge leg up when I go to analyze my simulation. I’ve been doing some analysis of an existing simulation output to test some of the tools I’ve developed and to get familiar with working with Ramses in preparation for analyzing my simulation when it’s finished running. Haven’t discovered much new scientifically, but have learned quite a bit. 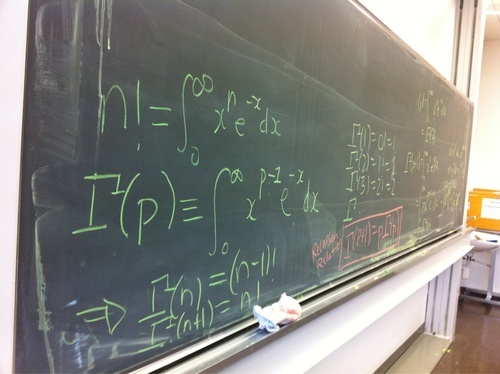 I was a teaching assistant for the first semester of Mathematical Methods for Physicists. I had a great time and learned a lot about teaching at the university level. My previous teaching experience has been as an assignment grader for Calculus I, a teaching assistant for Electricity and Magnetism (both at MIT as an undergrad), and as a lecturer and lab assistant for a Junior year high school computer science program post graduation (at the Hebrew University in Jerusalem). 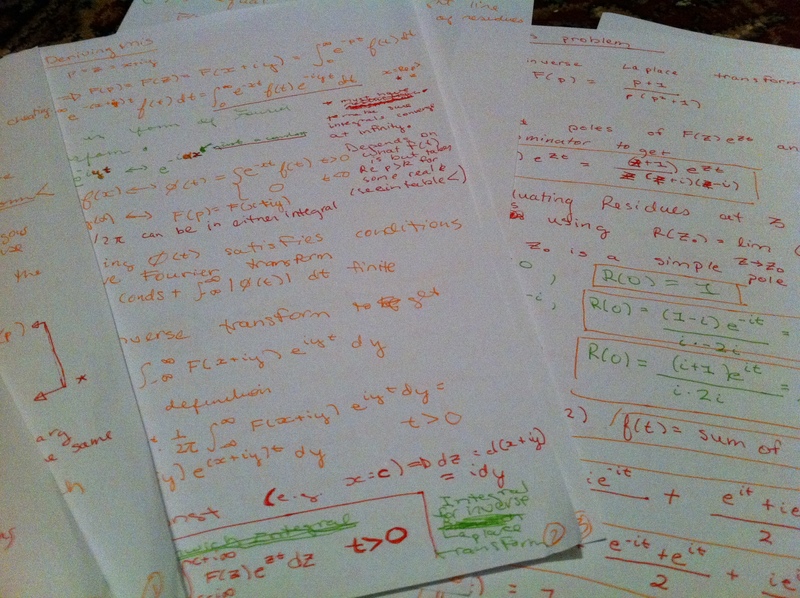 This course covered a broad swath of mathematical concepts: elementary calculus, linear algebra, vector calculus, Fourier series and transforms, ordinary differential equations, calculus of variations, tensor analysis, functions of a complex variable and more. We largely followed the excellent text by Prof. Mary Boas which I wholeheartedly recommend. Switching off with my co-assistant, Lucia Hosekova who has helpfully assisted the class previously, I prepared homework assignments, graded them, and gave a weekly review session. In addition, I gave a lecture on the gamma and beta functions and the Bromwich integral method of finding the inverse Laplace transform. Finally, I prepared the review sheet for the final written exam, helped give the review sessions, and prepared the final exam in consultation with both the professor of the course and my co-assistant. I had the pleasure to advise a bachelor’s student, Rafael Küng, this semester on his bachelor’s thesis. He is working to integrate some visualization and analysis capabilities specific to tracking halos in a cosmological simulation (I explained what I mean by a halo in a previous post, if you are curious) over time in to AstroViz and has done an amazing job getting up to speed with C++, SQLite, VTK/ParaView, AstroViz, the physics of cosmological simulations, halo finding, and more. He’s developed an additional module to AstroViz which can read in halo track information from an SQLite database of a standard format and visualize it in several interesting ways controlled by the user from the ParaView GUI. The next step was to integrate analysis capabilities, and so far he has integrated the ability to highlight tracks which experience collisions along their path, and integrated plotting capability for various physical quantities as a function of their collision history. He should be defending in the next month after finishing the writeup of the project and will go on to do great things.